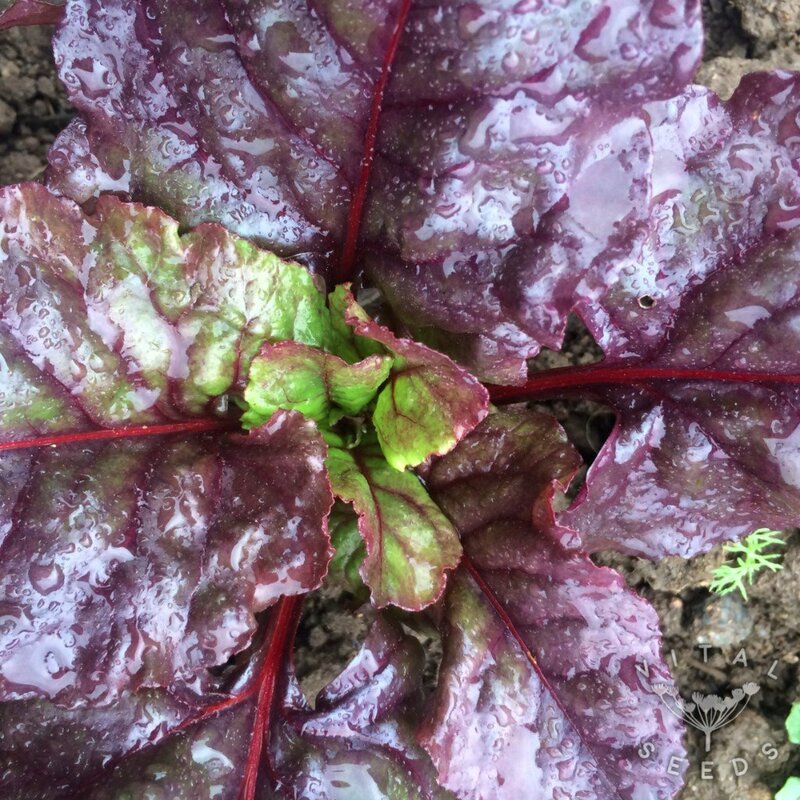 A variety of beetroot with extremely dark red leaves, usually grown as a salad leaf. 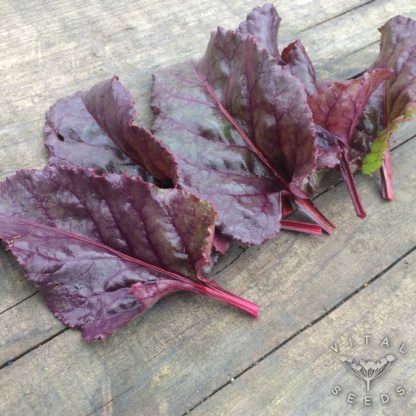 The leaves are exceptionally dark red, almost purple colour and very tender and sweet, especially as baby-leaf. They can be cut up to 4-5 times and will grow back. 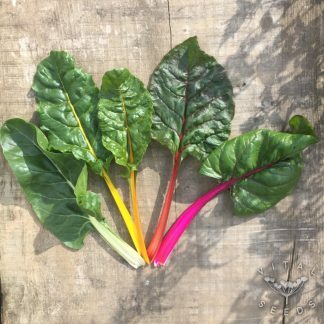 The beets are best when harvested young, very mild in flavour. 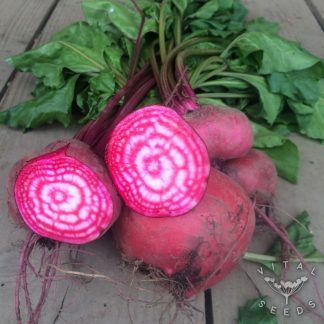 They have beautiful pinkish rings inside.